Ever thought of visiting Melbourne? You may have the opportunity to fly to Melbourne on Us*. Or maybe the fact that you just want to get away from it all, but if you’re deciding to come to Melbourne, iBuild has you covered. 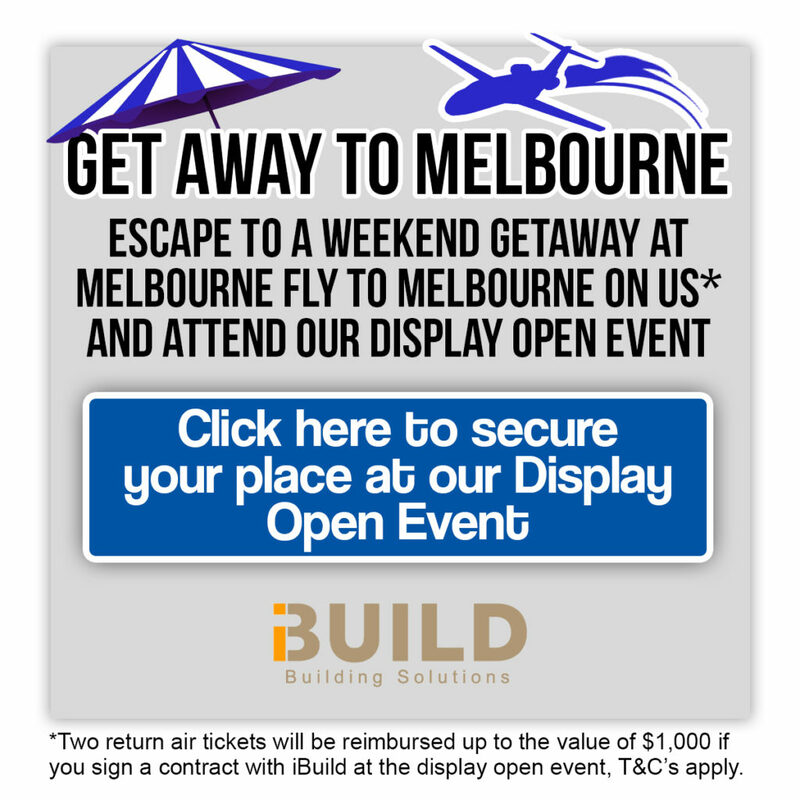 Come visit iBuild Display Homes Melbourne for all it has to offer. Register to attend iBuild’s display open event to have your travel costs reimbursed if you sign a contract with us at the event* - terms and conditions apply. 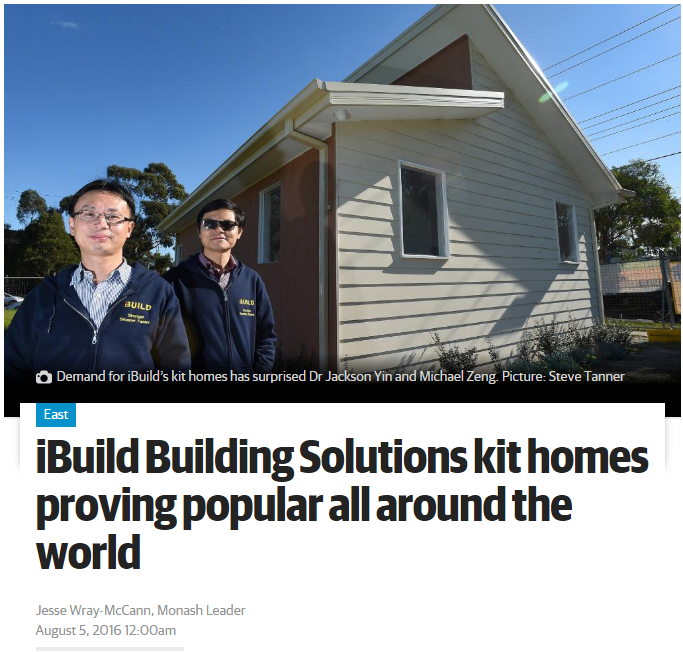 iBuild is a multi-award winning prefab building supplier, with renowned reputation for innovation attracting worldwide media coverage, including Channel 9 News, A Current Affair, The Age, Herald Sun, Morning Herald and many more! 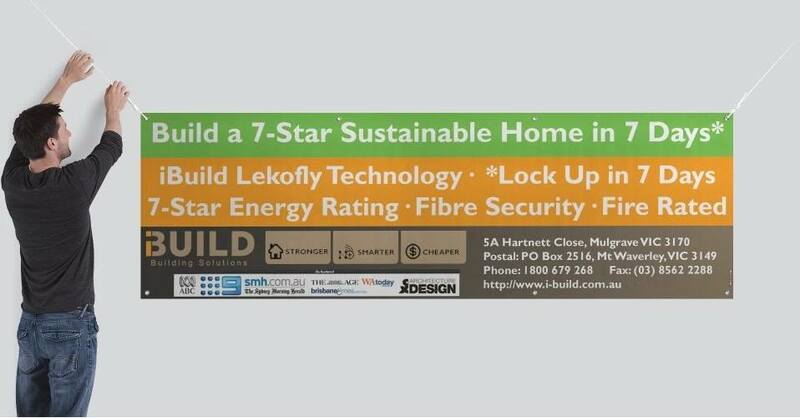 iBuild has constructed a display home in Melbourne’s East, and achieved a 7-star energy rating. The Lekofly display home is fire rated, termite resistant, and equipped with state-of-art optical fibre perimeter protection system. 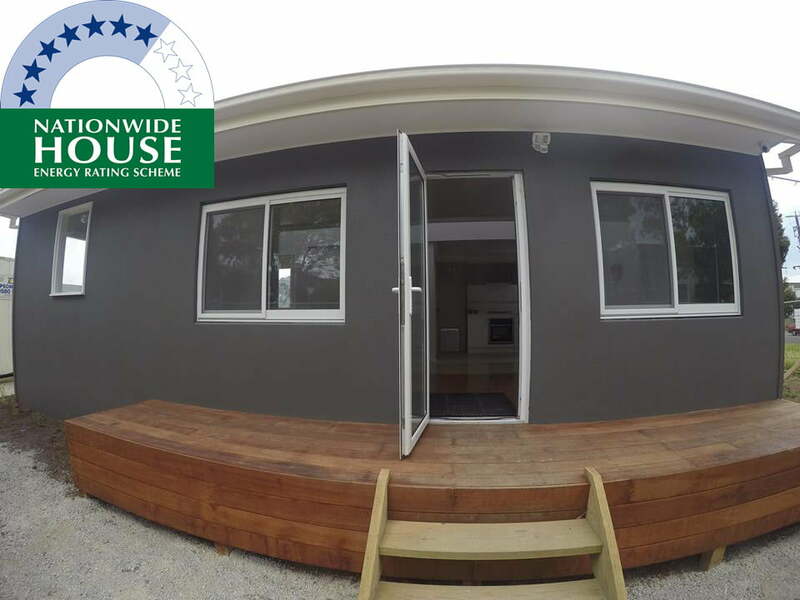 Our display homes Melbourne demonstrate an innovative integrated approach combining Lekofly modular components and site-built elements, to create the finished modern stylish building demonstrating the seamless integration between modular build and traditional stick build. 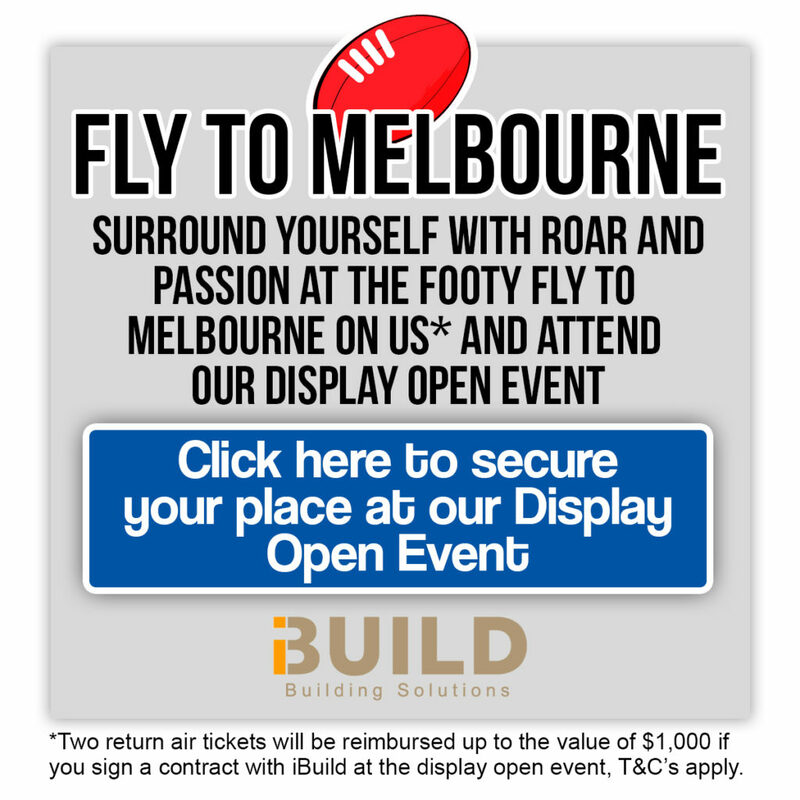 iBuild will reimburse two return economy air tickets up to the total value of $1,000 if you sign a contract with iBuild with a value of more than $30,000 at the display open event you have registered to attend. To qualify for reimbursement, you must register and attend one of iBuild's scheduled display open events, typically on Sundays. Attendance at other times including special appointments will not be qualified for reimbursement. You may book to fly with any of your chosen airlines. 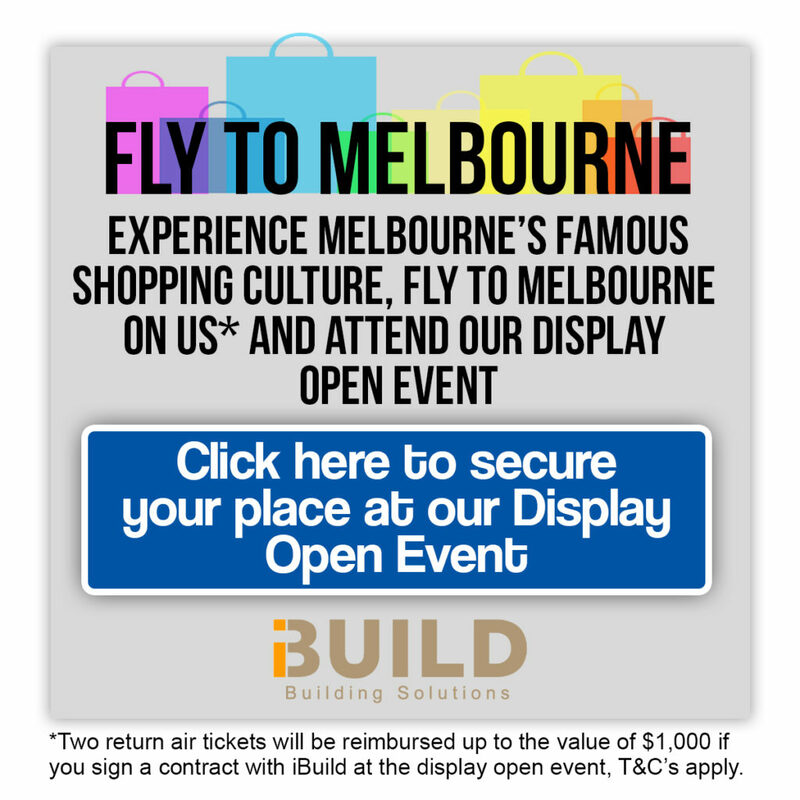 Please retain original tax invoice, boarding passes, and the RSVP tickets to iBuild's Melbourne open for inspection event. Transfers, accommodation and incidentals are not reimbursable. Remittance of any iBuild approved reimbursement will occur at the completion of project delivery. iBuild reserves the right in its sole discretion to disqualify any individual who does not meet the Eligibility Criteria. 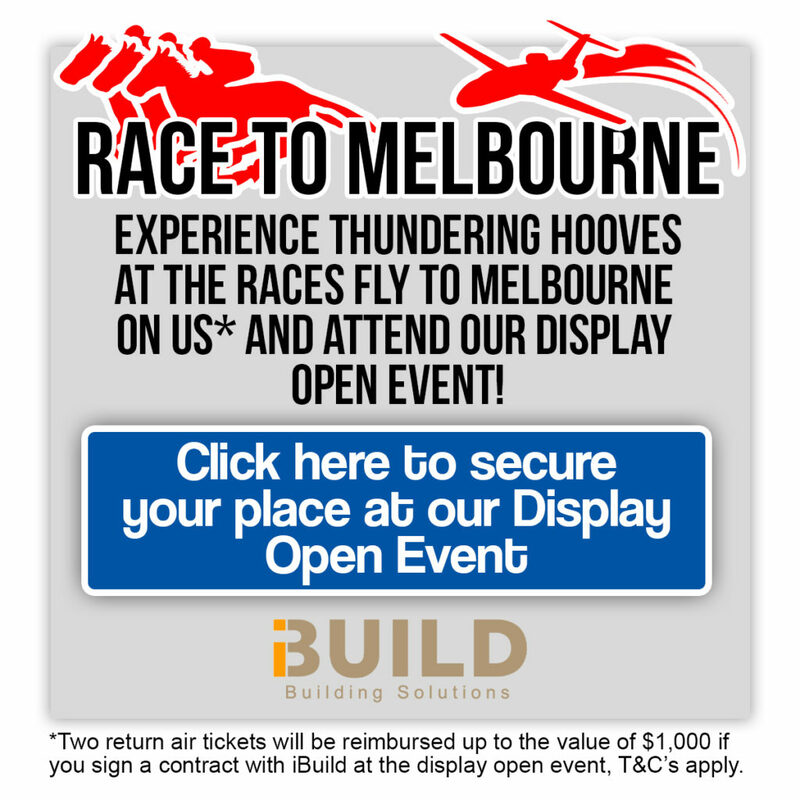 In the rare event of an unforeseeable cancellation of the display open event, iBuild does not accept any claims for compensations. To the extent permitted by law, iBuild and its related entities and its and their respective directors, officers, employees and agents, will not be liable for any personal injury, loss or damage whatsoever which is suffered or sustained (including, but not limited to) indirect or consequential, financial or other loss, resulting from taking part in the Promotion, to or by any participant. Nothing in these Terms and Conditions limits, excludes or modifies or purports to limit, exclude or modify the statutory consumer guarantees as provided under the Competition and Consumer Act, as well as any other implied warranties other consumer protection laws in the States and Territories of Australia (“Non-Excludable Guarantees”). Except for any liability that cannot by law be excluded, including the Non-Excludable Guarantees, iBuild (including its respective officers, employees and agents) is not liable for (including negligence), for any personal injury; or any loss or damage (including loss of opportunity); whether indirect, special or consequential, arising in any way out of the promotion. These Terms and Conditions shall be governed by the laws of Victoria and each Participant agrees to submit to the non-exclusive jurisdiction of Victoria. Melbourne OFI Event – What To Expect?